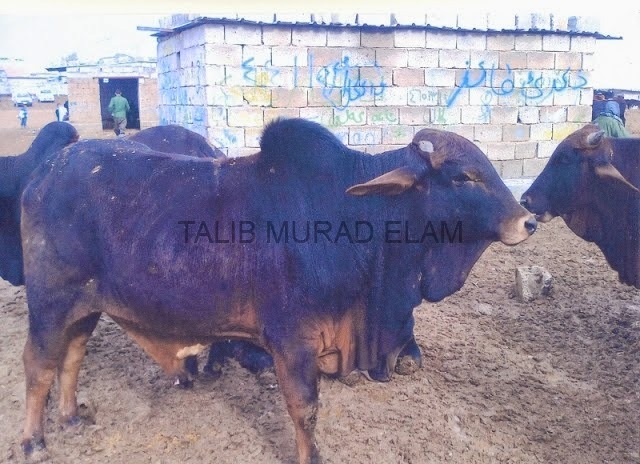 The bull, (Fig.1), was photographed in a livestock market in Erbil, the capital of the Kurdistan region of Iraq and, along with thousands of others in livestock markets throughout Iraq it was sold for slaughter. Anyone who has knowledge of cattle will recognize that these cattle have originated from India, if not from Pakistan, and this animal. This bull and the other cattle in the market that day had been smuggled over 3,000 Km through Pakistan, Afghanistan and Iran to reach Erbil the Capital of Kurdistan Regional Government-KRG. This form of Illegal Transboundary Animal Trade (ITAT) is on the increase and is becoming a trend in the Middle East and North and East Africa. It is becoming more and more difficult to control Transboundary Animal Diseases (TADs) as countries within the region have gone through political and social upheaval and, while ITAT is widely and openly practiced, the situation will undoubtedly make the control of Transboundary Animal Diseases (TADs) impossible. This is a recipe for disaster that will facilitate the spread of zoonotic diseases( spread from animal to human) thereby endangering human lives especially in the poorer segments of the communities. ( Fig.2). Smuggled meat can be a source of disease spread to both animals and humans and in addition there are the risks posed to consumers by the chemicals that are used to improve the appearance of the meat. It is not an easy task to control this illicit trade when we are heading towards more open trade across our borders and meat prices are increasing daily and veterinary and custom services are under constant pressure to do so. Last year countries in Europe, where border control is very stringent, were shocked to discover illegal meat in their food chain. One wonders how beef, mixed with illegal horse meat, got past the EU’s well established veterinary services and border controls allowing the horse meat, that originated in Romania, to be mixed with beef and used to produce meat products and meals in supermarkets throughout Europe. This occurred when meat moved across borders had seemingly correct paperwork accompanying it and it was random DNA testing that revealed the problem. This illegal trade took place through channels that were to all intensive purposes legal so what could be smuggled illegally? 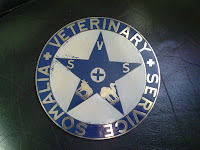 What chance do we have to control such malpractice with the weak veterinary services we have in the region and border custom officers who are used to turning a blind eye? It is already a lost battle. A few years ago the Food and Agriculture Organization of the United Nations (FAO) and the World Organisation for Animal Health (OIE) announced that Rinderpest (Cattle plague) was officially eradicated, and they promised to keep Rinderpest consigned forever to the history books and the annals of veterinary medicine. This was an historic announcement as this was the first animal disease that had been “eradicated”. We are all aware that in the past twenty years the last foci of Rinderpest infection involved wild buffalo and cattle in East Africa and Pakistan. Rinderpest has been one of the most problematical animal diseases to control and, endogenous to Africa, and it proved hard to eradicate it there. Indeed in the late 1980s Rinderpest played a role in the demise of the government in Somalia. The Somalia livestock sector was a vital source of revenue to the country and the sale of Somali cattle to Saudi Arabia used to generate nearly 300 million dollars but the trade stopped immediately when rinderpest was discovered in animals imported into KSA. This was a body blow to a government already under threat and the loss of this revenue was a death blow to Siad Barre’s government. Meanwhile the decades of vaccination campaigns had resulted in a weakening of the virus to a degree that it had become impossible to observe it clinically. In 1989 - 90 I was involved in the management of a large, EU financed, Pan African Rinderpest Campaign (PARC) to vaccinate the large herds of nomadic cattle in Somalia against the virus. The PARC campaign was misused from day one by the Somali government officials and then the outbreak of civil war put an abrupt end to the project and nothing was achieved. Instead the PARC campaign provided Italian cars for the officials of Siad Barri’s regime in its last year in power and following the fall of the regime in 1991 the few dozen yellow Landrovers that had been used by PARC became the ‘chariots’ of Somali warlords. Years later I was surprised to read that the Pan African Rinderpest Campagin (PARC) was described as a success! The Lomé Convention is a trade and aid agreement between the European Community (EC) and 71 African, Caribbean, and Pacific (ACP) countries, signed in February 1975 in Lomé, Togo. This form of aid is different from the UN aid programs and, while UN programs have their faults, yet in my experience programs under the Lome agreement were worse. The Lome Convention allows a government and its officials to have full control over the equipment and goods of a project or purchasing such items for use in projects. This is a good Idea but in real terms it was a blank cheque for officials to legally line their pockets or purchase what they wanted. A. THERE ARE MANY FACTORS CAUSING “ITAT”. 1. The Animal Production Sector is weak in the Region. · The ever increasing population of the region. We are all aware that our human population in the region is increasing at an alarming rate. In addition meat is regarded as the main constituent of a meal and Meat consumption per capita is markedly higher now that it was before the explosion of petrol dollars. So much more meat is now consumed by a wealthier section of the population that the incidence high cholesterol, obesity, diabetes and heart disease are increasing in the younger generation. Countries within the region struggle to provide meat for their endogenous (local) population yet some also have a large population of expatriates. In the Gulf States the ratio of foreign to local population is several fold and in Qatar there are 8 foreigners to every local person. It is well known that while ex-patriates consume lamb from sheep imported from Australia and New Zealand the local population prefer to eat the expensive meat from fat-tail sheep. This means that the Gulf States can only hope to provide sufficient fat-tail meat by seeking supplies from within the region. Some states have resorted to land-grab as far afield as Australia in order to gain pasture suitable for flocks of fat-tail breeds. In addition the ready market in the Gulf entices illegal trade and the result is that the extent of the trade and the variety of sources forms an opportunity for spread of transboundary diseases. 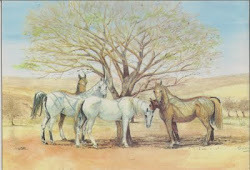 · The shrinking of traditional pasture land. While there are few, if any, statistics available on the loss of traditional pastureland it has been estimated that over the last 60 years the region has lost 50% of the natural pasture that was essential in raising the herds of small ruminants that provided the preferred red meat within the region. This loss of pasture is the result of drought, increased desertification and man-made activities such as oil and gas exploration, air ports, urbanization etc. · Recurrent drought in the region. Drought has been a natural occurrence in the region from ancient times and is referred to in all our holy books. We cannot stop this drought but, like generations before us, we need to constantly be aware of the threat and prepare for it. Drought affects livestock first and when drought occurs the sale of livestock increases as owners cannot afford to provide for them. As a result sale prices drop as does the condition of the animals and there is an increased risk of ITAT but also that the livestock that is moved across borders may be carrying disease. While the failure of seasonal rains leads to drought the threat is intensified in those countries such as Egypt, Iraq, Jordan and Syria where the source of the country’s rivers is outside its borders. Increasingly we see upstream countries, e.g. Turkey, Ethiopia, Syria and Iran erecting dams across rivers and the consequent reduction of the downstream flow. This puts increased demand on other water sources with the result that ground water supplies are severely threatened and salinity can increase. 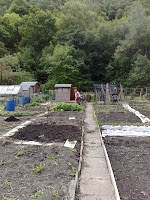 The problem is further intensified by the popular concept of leisure farming. All too frequently we see people acquiring a plot of land on which they construct a house and dig a well with the ‘intention’ of being self sufficient. However the end result is the loss of further irreplaceable ground water and further drop in the water table. In addition some of the owners of these wells now sell water! · The changing of villages from production units to consumers. It is not so long ago that a village in Iraq, Egypt or elsewhere within the region was a place where any visitor saw evidence of livestock and food production. I have seen countless such villages in throughout the Middle East all of which were self sufficient and the excess poultry, meat, cheese and yogurt they produced was sold in local towns. Each village was a producing unit but now the majority of villages have become consumers and where poultry and goats may have fed we see plastic refuse and evidence of legal, and illegal, imported food. There is a reduction in the number of young people in villages as they are attracted to life in towns and cities and skills and knowledge of livestock production and its accompanying trades, that were passed from generation to generation, are consequently lost. · Religious Festivals (Ramadan & Eid El Adha). Our festivities have a marked demand on our livestock. We slaughter animals not only for the main religious festivals but for weddings, funerals, purchase of a house or car, visit of a family member or friend and during Ramadan, when we should be fasting, our meat consumption increases three fold while its cost also rises. Our livestock production cannot meet such a demand so the trade in livestock and meat imports rises and of course the illegal trade flourishes. It has been estimated that over 10 to 15 million ruminants are slaughtered throughout the Arab world within the first few hours of the first day of Eid El Adha. This estimate is conservative and in KSA alone 2.5 million animals are slaughtered. Can illegal trade be stopped when there is such a demand? Remedying the first five factors, and indeed others, falls to a certain extent within the duties of the individual states, but control of TADs is without doubt a regional problem and involves neighbouring states. It is both a moral duty and an obligation of all states involved to work together to control, and prevent, these situations. 2. The Rates of Currency Exchange and Livestock Smuggling. The difference in currency exchange rates of the poorer countries within the region is the main factor for ITAT. 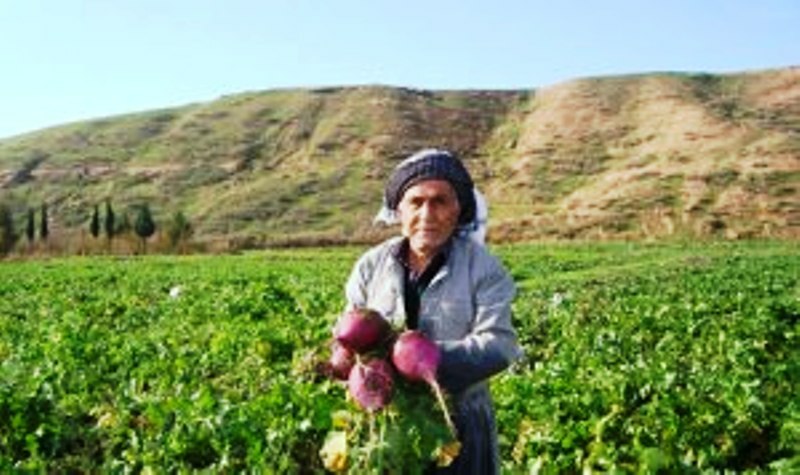 As a consultant, representative and regional livestock officer for FAO in the Near East countries for a quarter of a century I have seen the effect that differences in currency exchange can make. In the late 1980s I witnessed the great crash of the Somali shilling during the last two years of Siad Bari’s regime followed by six years of civil strife. On my arrival in that unfortunate country a single US dollar used to fetch 25 Somali shillings, by the time I left eight years later the same dollar bill was fetching 14,000 SS. 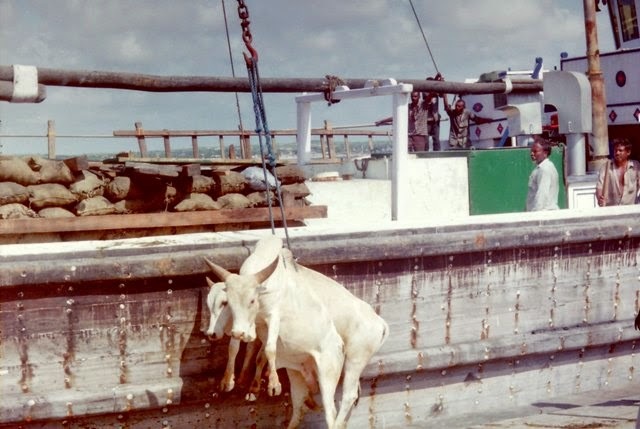 With no governmental control of exports, the illegal exportation of livestock to the Gulf States was taking place in all the Somali ports as people endeavoured to secure viable hard currency (Fig.3). I have seen similar occurrences in Afghanistan where, during the rule of the Taliban one dollar US was worth 800 Afghani and resulted in an increase in the smuggling of all forms of livestock from Afghanistan into Pakistan, Iran and the countries of the north. Indeed the trade was open to anyone. 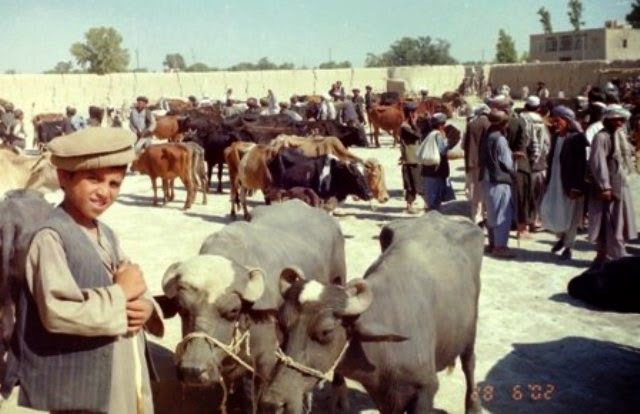 Within a few months of the overthrow of the Taliban regime the reverse took place and I saw livestock smuggling from Pakistan into Afghanistan as one US dollar was then equivalent to 400 Afghani. In the latter years of Saddam’s reign livestock was smuggled into Iran where the currency rate was good compared to the weak Iraqi dinar. I saw many Iraqi traders with their livestock in the markets of Iran at that time and following the fall of Saddam’s regime there was a tremendous improvement in the Iraqi currency. This improvement in Iraq’s currency has now resulted in the smugglers moving animals and meat into Iraq across its borders with Iran and also Turkey. 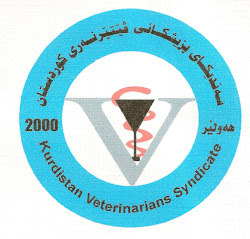 The veterinary services in Baghdad and Erbil accuse the neighbouring countries for the introduction of Lumpy Skin disease (LS), Foot and mouth disease (FMD) and Crimean Congo haemorrhagic fever (CCHF). Indeed as I was preparing this article I read a Pro-Med circular regarding the death of a cattle owner in Turkey who died from CCHF.In raq it is common knowledge that animal smuggling takes place and the problem is too great for the countries veterinary services. In 1984 I was on a FAO mission to the Hadramout valley of South Yemen. There I routinely saw large pickups laden with Thmudi goats travelling on their way through the desert to the United Arab Emirate where the flesh of these animals was greatly appreciated. Indeed some of the goats may have been smuggled as far as KSA. When I think of this I regret that today’s mobile phones with integral cameras had not been invented then. However in 2002 I was able to photograph water buffalo in a livestock market in Heart, Afghanistan (Fig.4), a country not known to produce these animals. The water buffalo were en route from Pakistan to the more lucrative markets in Iran and some may well have reached the borders of Iraq. Even more surprising was that some butchers were also selling buffalo meat to Afghanis who had lived in Pakistan and developed a taste for the meat. Although the region’s countries are not capable of meeting the normal demand for meat the increased demand that occurs during Ramadan and the Eid results in the veterinary services coming under great pressure from politicians to meet the rise in demand at that time. This pressure can be so great that there are some officials who turn a blind eye to some of the trade taking place in order to relieve the pressure they are under. No officials have been prosecuted or removed from office as they have been doing what was required of them! The number of countries that are free of notifiable animal diseases has been halved in recent years so it is a logical deduction that as the sources of legal imports have been reduced smuggling must be making up the shortfall in supply. 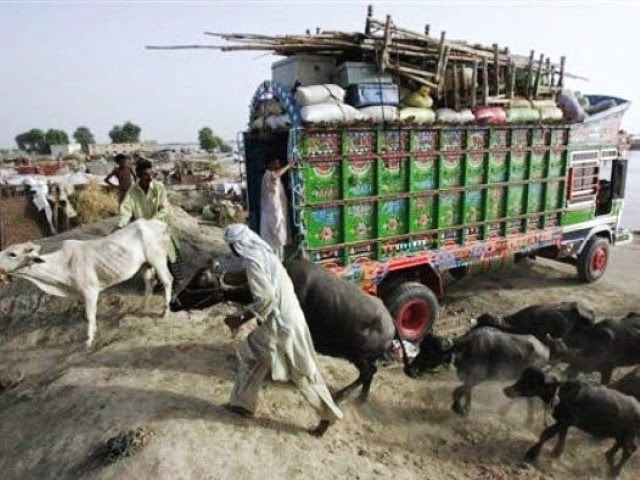 Perhaps we should regard it that smuggling livestock to meet the demands of the population has become a norm within the region. the livestock unit allocated per veterinarian is very low in comparison to that in the western world. However there is a lack of modern laboratory facilities and basic training programs for personnel in infectious diseases and meat quality control in order to face the challenge of we face in establishing and maintaining secure monitoring and control systems against the threat of TADs and safe meat supplies. Training courses for both veterinarians and the veterinary facilities should be critically reviewed and upgraded as necessary to ensure that we can deal with the threat the region faces. The region would benefit from the establishment of a regional commission with the aim to oversee a regional, coordinated system to control trade in livestock movements and the spread of zoonotic and infectious diseases in the region. Similar commissions exist in South America, South East Asia, Europe and Africa and the benefits of a coordinated system have been demonstrated. 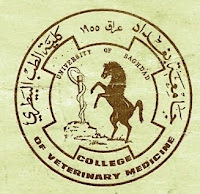 In October 1967 the 49th, FAO Council adopted a resolution (3/49) to establish a Commission for Animal Health in the Near East Region to be based in Cairo. This resolution was passed some 47 years ago and yet we are still without a commission.